We first opened our doors on 25th November 2013 at our Grand Opening event attended by over 150 people from the local community. We started with 1 part time staff member and 25 volunteers and the belief in our ethos of care, kindness, compassion and love. 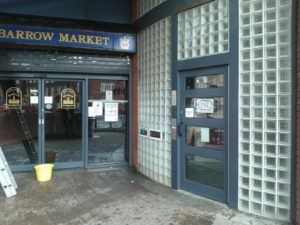 The building itself was kindly offered to us by Barrow Borough Council, who were so supportive from the very start and have been with us every step of the way. At the beginning, we had no idea what we would become and were relying on local women to give us ideas and direction! Rebecca, our Senior Officer (and original staff member) always talks about the first day the Centre opened for women to access. We had spent months preparing the premises, sourcing furniture and setting up the clothes bank. The doors opened and there was huge a buzz of excitement. What will happen? Who will come? But for the first few hours the Centre was completely empty! Are we doing the right thing? Will this work? Have we made a mistake? But then… the buzzer went and the first woman walked through the door. She needed support with benefits and housing. We can help! Rebecca got stuck straight in. She rang local services on behalf of the woman and they all drew a blank when she said, ‘I’m calling from Women’s Community Matters’. And that was the beginning. 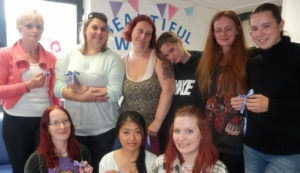 For the rest of the first year Rebecca, 25 volunteers and a whole lot of women helped the Centre grow and develop. That year, our volunteers started our Personal Development course, Beautiful Women. We had no idea what to expect and were trembling with nerves in the first session but to our great surprise the women loved it! They gave us constant feedback and ideas about changes and ways to improve. And as an added bonus, many of those first Beautiful Women are now dedicated members of our team! Take a look at our sister website Beautiful Women for inspirational stuff! 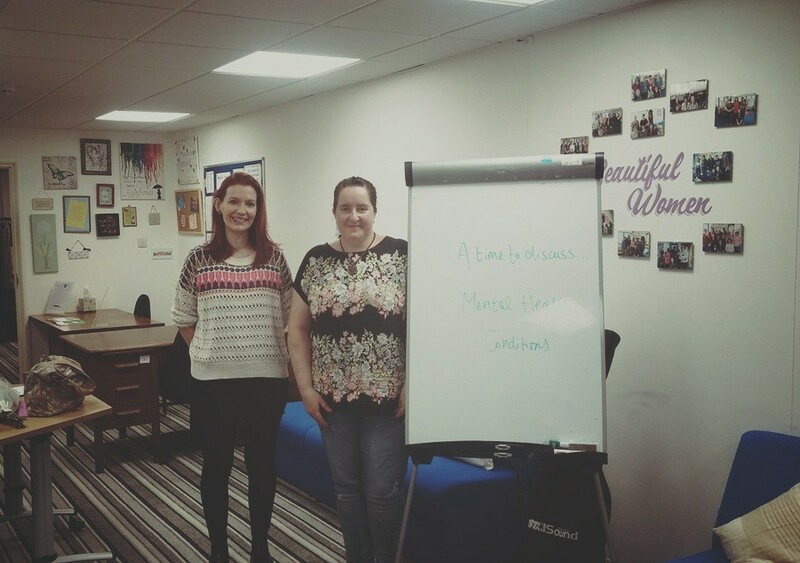 By the end of 2014, we were lucky enough to employ two staff members Rachael, Project Worker and Katy, Development Worker after securing funds from the Office of the Police and Crime Commissioner and a contract via Lancashire Women’s Centres. 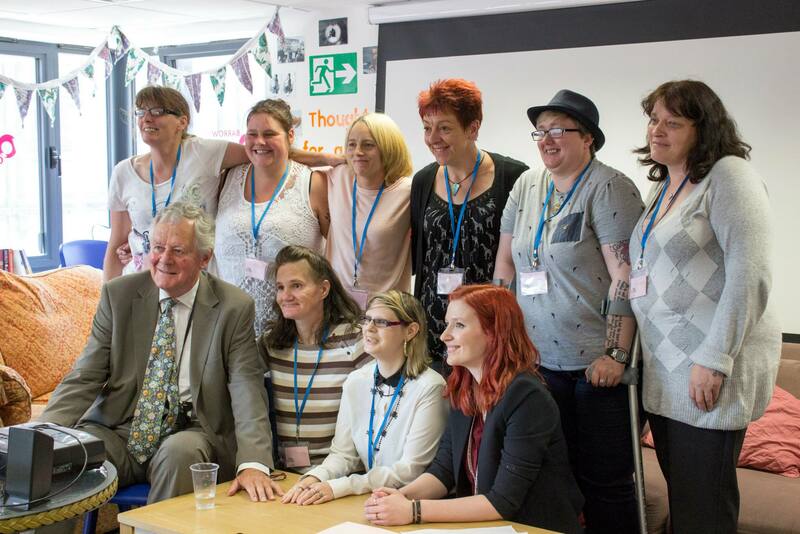 This initial injection of funding allowed us to develop a number of courses, which are now part of our core offer, including Beautiful Women, Beautiful Me, Vision, My Relationships & Me and My Safety & Me. 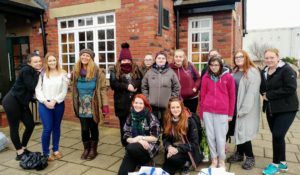 It was a busy time for the Centre! More and more women were coming through the door for activities, courses and one-to-one support. 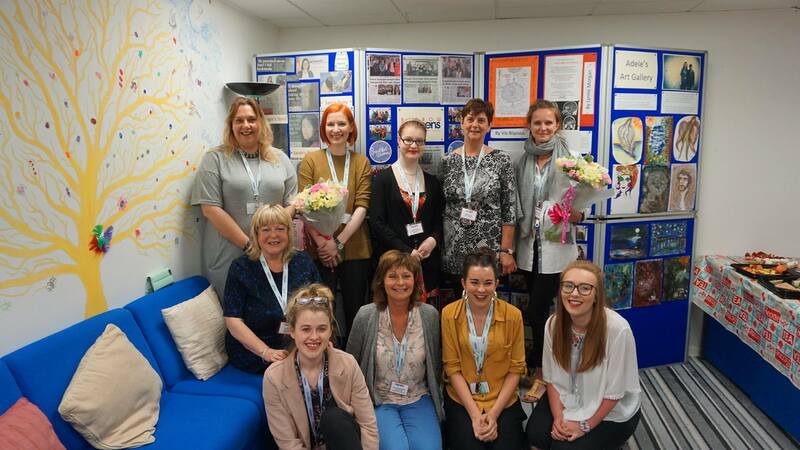 We were supported by local services in particular Adult Services, Holden’s solicitors (Family Law), Focus Families, Cumbria Constabulary, Victim Support, LetGo, Oaklea Trust, CRC and many others who provided advice and guidance to our small team and we couldn’t have done it without them! By 2015, we had seen so many women successfully complete our projects and held our first Graduation Event in July, Every Woman Matters. The event was attended by Richard Rhodes, the then PCC, John Woodcock MP, the local mayor and many more professionals. This event was the first of many, which was planned by the women themselves and marked a change in the way we look upon services. Services aren’t something done ‘to us’ but instead a place where we work together to achieve the changes we want. We recognise the strength in community, the hopes and dreams of local women and our potential to achieve as human beings. With this in mind, we continued our commitment to develop a service using the voices and ideas of the very people using those services. Our commitment threads through everything we do and truly recognises the passions and successes of the women we welcome through our doors. It’s about equality and believing we all deserve the best chance in life. At Women’s Community Matters, we aim to give every woman that chance. 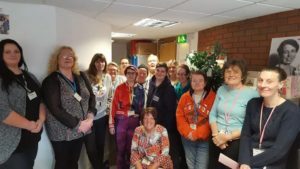 In January 2016 we were also able to expand with the support of Barrow Borough Council and knocked through to create a larger clothes bank and Project Room. This allowed us to deliver more groups and courses in a safe and confidential space. From there we were lucky enough to secure Big Lottery Funding of £734k, which enabled us to recruit additional staff and develop our team. We now have a team of 11 staff (including 4 Project Workers, a Volunteer Coordinator, 2 Development Managers, a Centre Coordinator, Senior Officer and 2 Apprentices). 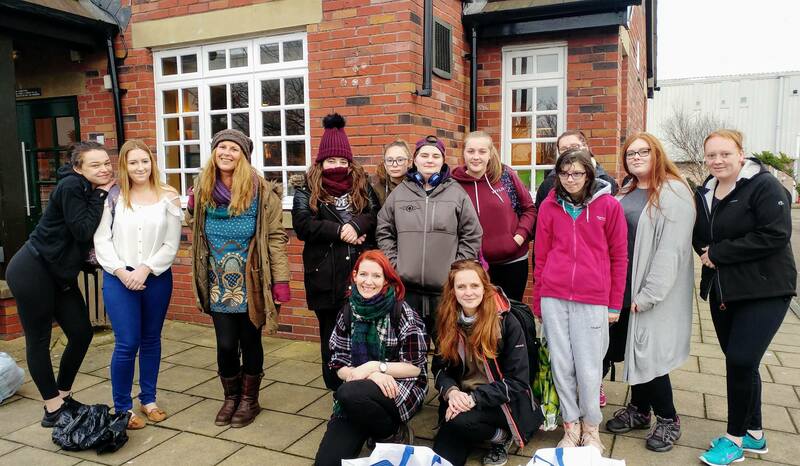 We are also linked to the 3 local universities and are supported throughout the year by both undergrad and postgrad social work students. 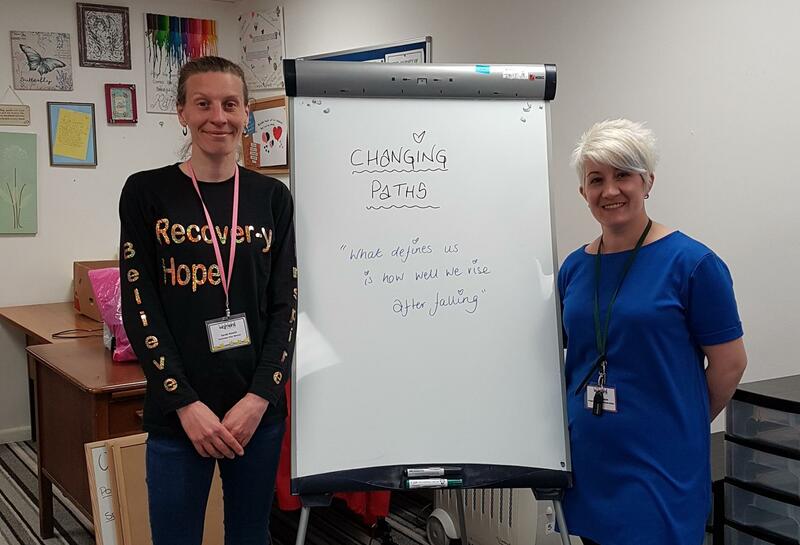 Our new staff team allowed us to expand further still and develop 3 support groups – Changing Paths, for women affected by addiction, Talking Minds, for women living with mental health conditions and Open Minds, for women in the LGBTQI+ community. 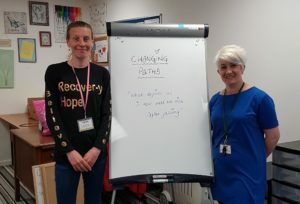 All our support groups have been developed alongside trained Peer Mentors, who have all previously accessed our courses and one-to-one support. We believe they are the experts by experience and are best placed to support others in group settings. 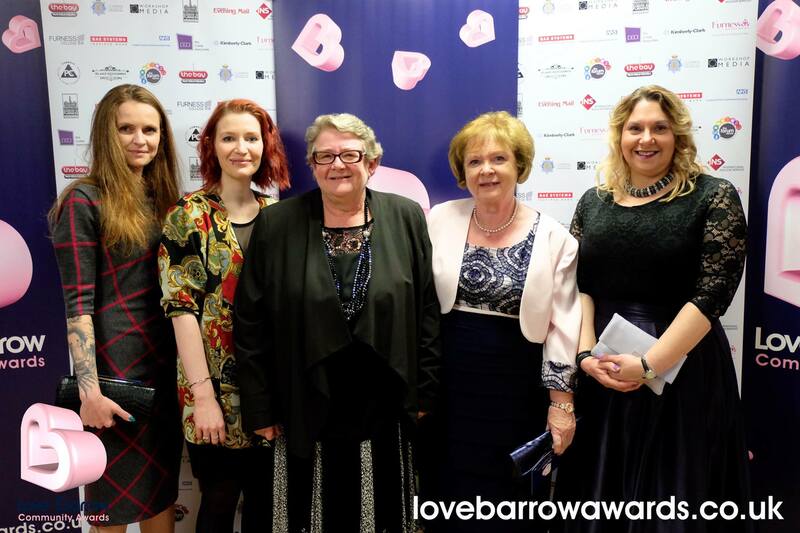 In March 2017 we were invited to the Love Barrow Awards after being nominated for Group or Project of the Year. 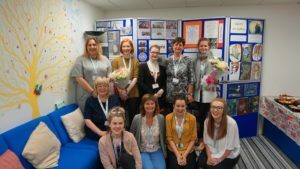 We were up against two incredible local services, The Well and SAFA, both of whom we work alongside and see the affect of the life-changing work they do. We were so honoured to go on to win the Love Barrow Award and have our work recognised by the community. 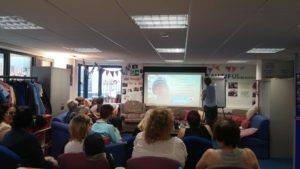 We recognised from the end of 2016 that we were outgrowing our Duke Street Centre. We have had visitors increases of around 50% year on year. From April 2016 – March 2017 we received 10, 751 visitors through our doors. With only 2 one-to-one rooms and 2 large rooms to deliver groups we were overbooked every day! That’s when our Senior Officer, Rebecca suggested a move of premises. When she first said the Nan Tait Centre could be our new home we couldn’t believe our ears! Cumbria County Council, our new landlords, have been so supportive and committed to getting it right for both sides. 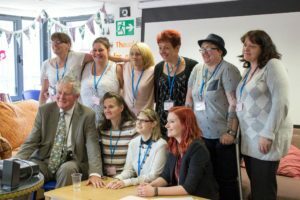 In June 2017 we had our final Graduation Event at the Duke Street Centre, aptly titled ‘out with the old, in with the new’. The event was attended by 75 guests and was a huge success – we couldn’t have asked for a better goodbye to Duke Street! 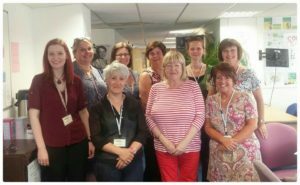 We moved into the Nan Tait Centre on 1st July 2017 and we’re over-the-moon! 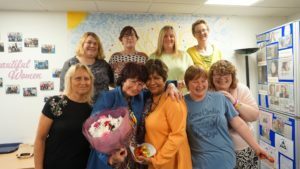 There’s lots of big changes ahead and we’re aware how hard it will be to readjust for all of us – women, volunteers, staff, trustees and professionals. But, despite the challenges we’ll face we’re so excited for this new opportunity! 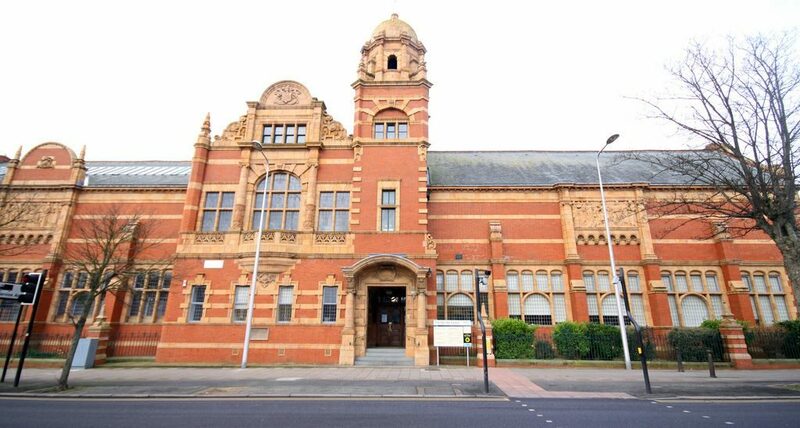 We’ve now got 5 large rooms, 4 staff offices, 4 one-t0-one rooms, The Gallery, The Library and The Shop, 2 kitchens, 2 bathrooms, a Meeting Room and 4 store rooms. We have enough space to see women as often as we need to and space to start our social enterprise project over the coming year. We’d like to thank everyone who has supported us since 2013 – it’s because of you all that we’re here today! It’s onwards and upwards for all at Women’s Community Matters!